Dice up the tofu. Place in a shallow container. Combine 2 tbsp soy sauce and sesame oil, pour over it, mix and let it sit while prepping the other ingredients. Cut Bok Choy stems in 1/2 inch size. Slice its leaves 1/2 inch sideways. Slice green onions. Blend remaining 2 tbsp soy sauce into corn starch in a small bowl until smooth. Heat oil in a wok over medium-high heat. Add Bok Choy stems, bell peppers and garlic. Stir-fry for 5 min. Add Bok Choy leaves and green onions. Stir-fry for 2 min. 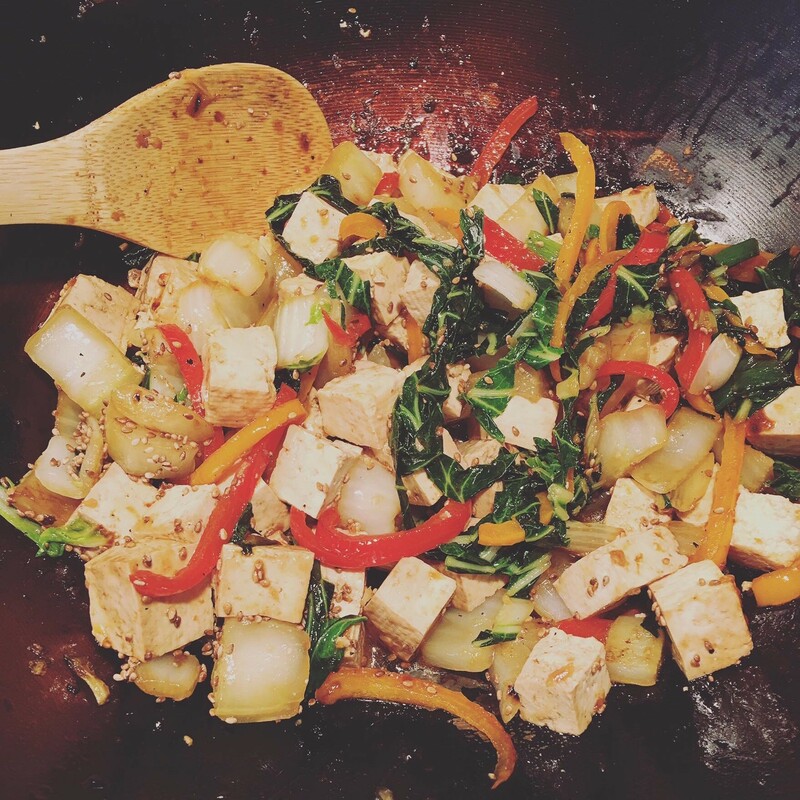 Stir cornstarch mixture and add to wok along with marinated tofu. Stir-fry for 30 sec. Sprinkle with toasted sesame seeds.